I'm trying to understand what happened to my soap. I havo no experience (this is my third batch). 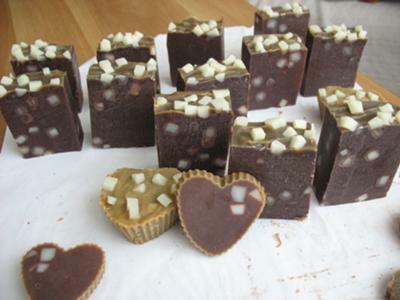 I made a batch of soap with coconut, palm, olive pomace, cocoa butter, almond oil and castor with super fat 4%. The coffee was infused in water. I added at trace avocado, apricot kernel and shea butter in the limit of 4% of base oils and cocoa for color. First I blended the mixture until it begins to trace. I over blended to be sure there is not a false trace (this is one of my concerns) and the mixture reached a thick trace like a pudding. At this time I mixed in the extra oils, cocoa and some chopped white soap. I poured into my mold and filled too high so I put extra base into 3 small heart-like silicon molds. I insulated the molds with blankets. After one hour nothing happend, same colour (light brown). I peeked again after another hour and I think I saw the gel phase in the large mold. 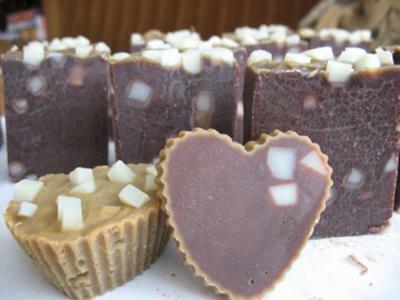 The raw soap was darker, warmer, but small-molds look the same, light brown and cold. I removed the soap from the mold and cut it. You can see in the picture how soap looks like. There's somehow a marble pattern in soap from large mold, but nothing like this in small one. Can you explain to me why my soap looks different and if it's safe for use after cured. older soaps sold on etsy looks like mine (Lavender Soap). Is it about some process during the gel phase? Another question: Is there anything wrong about blending a long time after trace? Not too worry. This is actually kind of a good thing, especially for a beginner soap maker because now you will be able to tell the difference between soap that has gelled, soap that has not gelled and soap that has gotten a little too hot. The little soap hearts look like they didn't fully gel. The lighter coloured rim is ungelled soap. It is harder for soap to gel in tiny little bits. More heat is generated in larger amounts. Your large bars definitely gelled. The got a little too hot in fact. That is the neat crackle look you are seeing. There is nothing wrong with the soap and as you can see, it can sometimes look quite nice. In order to avoid the crackle look, make sure to open the soap up as soon as the soap has gelled to the edges. I often put a fan on the soap to help cool it down. 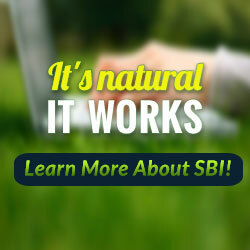 You mentioned that you are worried about not reaching a full trace. When you stick blend your soap, you should do so in short bursts. Then hand stir it for a minute or so. Keep alternating these steps until the soap base stays thick when hand stirring. Check out David Fishers video concerning Trace in Soap Making.